Yet another faction that has not received a ton of love in the RTW modding community (aside from realistic overhauls). Dacia is a very interesting and diverse faction. Historically, they were located in modern day Romania, and were known as the Getae to the Greeks. A large debate has existed between scholars on whether the Dacians were actually part of the Thracian culture. Since RTW features both Dacia and Thrace I thought I'd simply expand on that feature instead of merging them into one faction like other mods. The thing that bugged me about vanilla Dacia is that they were basically the Gauls in brown with a falxmen unit, and it was pretty boring. Now they have a full fledged roster full of unique units. Even the common units don't look like Gallic copies. See for yourself! The Dacian Roster is one of the most diverse, and the largest roster that we have formulated so far. They have a lot of heavy infantry, as well as good missile units and a diverse cavalry selection. They even have some siege units for the late game. All in all, this should make one of the more boring factions one of the most interesting factions in the game! Finally, thank you all for downloading and making this mod happen! 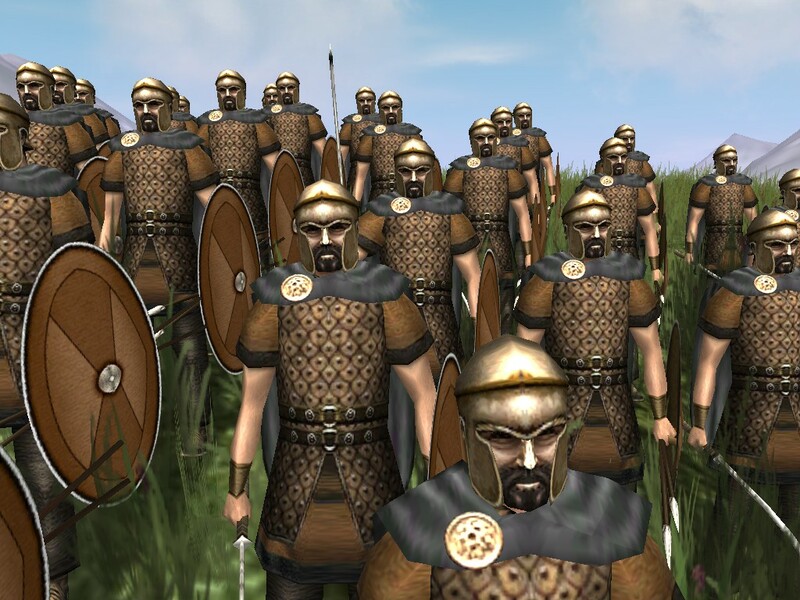 Those Dacians are looking good! Thanks Jubal, Thrace is being worked on now, followed by Scythia. 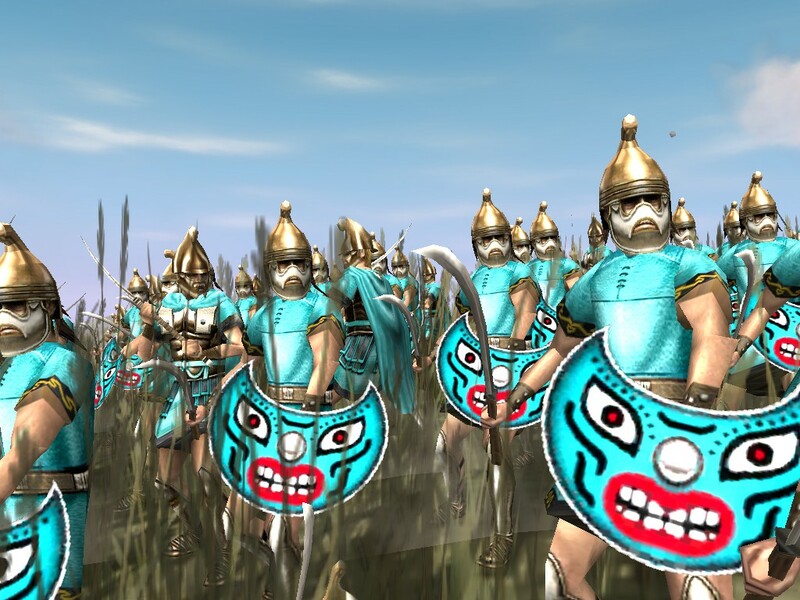 Thrace is by far the most obscure faction in Rome Total War. It seems like the devs had originally planned for an Illyrian faction when at the last minute, they decided to make Thrace instead. Why? Every faction in this game that is non roman had a significant war or series of wars against Rome. Thrace had some minor altercations it seems. I was so perplexed by the idea of this faction that I almost turned them into Illyria. However, this is a vanilla enhancement mod that is supposed to add some historical flavor, not a realism mod.. so I left them in, and made them as interesting as possible! Thrace is a weird faction to mod in game terms as well. They are 'greek' in culture but historically they seemed to be a mix of Greek and Barbarian. The engine doesn't allow us to do much with that, and I didn't want them to seem 'barbarian' so I kept them as Greek, but made their units wild and fearsome. This faction is extremely unique compared to some of the others, and they should be a lot of fun to play with! - Mod now runs with -noalexander. This enables intro videos to run again, so make sure you put that in your target line or the mod won't work! - All sprites are corrected, so there shouldn't be any missing anymore. The Thracian Roster is large and diverse, a far cry from the vanilla faction that seemed so bare. Check it out! This was one of the most fun rosters to make, and it should make for a very interesting campaign. As a player, you have multiple strategies to choose from. There are strong infantry and skirmishers as well as cavalry. There are also pikemen, so a smart general will use his selection wisely! READ CAREFULLY: If you have the last version of the mod, you must first go to HRTW/data/world/maps/campaign and delete the Alexander & Battlefields folders. Then, simply extract into the same location and overwrite your files. Make sure to delete the map.rwm file in HRTW/data/world/maps/base folder. THEN in your target line, make sure to add -noalexander to the end of it. IF YOU DO NOT FOLLOW THE ABOVE INSTRUCTIONS, NOTHING WILL WORK! - BHL_20 for his awesome work on culture. He gave it his own flavor, and it fits in perfectly! Very nice! The eye-shields are a fun touch I always loved Thrace as a faction, not sure why exactly. Thanks Jubal, Scythia is next! Any news on the Scyths? Alrighty, this is slightly embarrassing but everything has changed. Lanjane, the magnificent unit maker and ui creator, is no longer able to help the mod due to the fact that he needs to take care of things in RL, and he doesn't know if he will come back.. if he does, he doesn't know when. I want to personally thank him on all of the great things he has done for the RTW community, as well as my mods. I have known him since 2011, and I hope he can come back some day. Until then, I wish him the best of luck going forward in his life. Now, the problem with him leaving is the mod now needs to change course in direction. There is absolutely no way I can continue with this mod and keep it consistent with what we have done with the previous releases, beginning with v3 Gallic Pride. I have to revert unit rosters to v2 Egyptian Makeover. Now, notice how I only said 'unit rosters', that means that all other features from v1-7 will stay in, as well as the intended features I had for v8..
Why am I going back to the old unit rosters? In August I released the 2nd Version of the mod, making over Egypt. 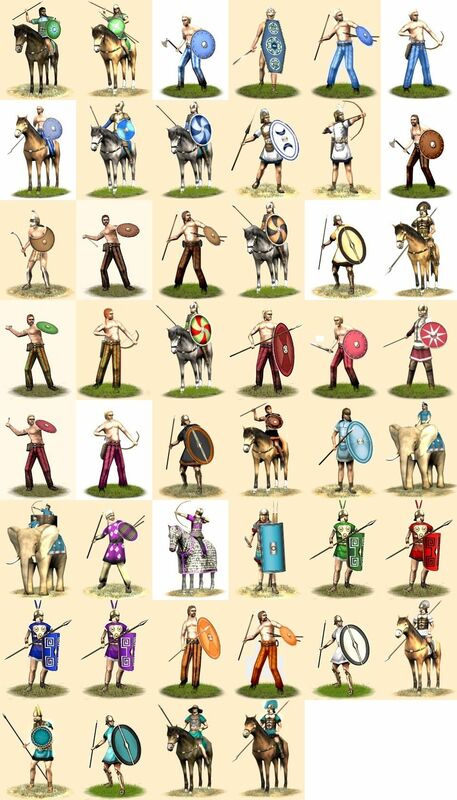 My plan was to then enhance all of the barbarian factions, by giving them some units to fill some holes. These were not going to be new units, but reskinned vanilla units. For example, Swordsmen for Germania, Archer Warband for Gaul. It was going to be it's own release, and I started with Gaul. One of the researchers who is no longer on the team convinced me to be more in depth with the rosters, and Lanjane also wanted this and offered to make the units. At first, I did not want to, I simply wanted vanilla style, with maybe some tweaks. However, Lanjane created some very beautiful units, and I could not resist.. thus Gallic Pride came about. However, I wondered if he would have enough desire and energy to continue with me on EVERY faction.. he seemed like he did, so we pressed on. The researcher left, and so the unit roster forming took a hit.. then around the Thracian release Lanjane became very busy and had no motivation to mod.. Then just today he gave me the news. With him gone, I see no need to continue with creating new units for every faction, as it's almost suicidal for the mod.. the mod simply WILL NOT live to see it's final state going in that direction. I have to go back to my original plan for units for this mod to succeed. Maybe when I am done, I can be more detailed with unit rosters. So, why am I just not going with what I have, and making due with what is out there to continue? It's simple: I want my mods to be consistent.. and by Lanjane leaving, his unit making and unit card making are no longer in the mod... There is no way the other factions will look or feel like the ones he worked on. The mod would be lopsided. Also, if I did continue in the same direction, it'd take me years to finish this. Even with Lanjane, we were not going to be finished until next fall as every faction is slowed down by the fact that units and their cards (and implementing them in general) are not easy or quick to make. It's a lot to implement a full unit, let alone a ton for each faction! Put more simply: creating/editing units is hard and takes a long time, time that I do not have, or am willing to give. I am thankful that Lanjane did what he did, as it was not easy. I will keep the old releases up and running, so you will always have access to the cool looking units, however I cannot continue in that direction. The plan moving forward, and what you can expect? 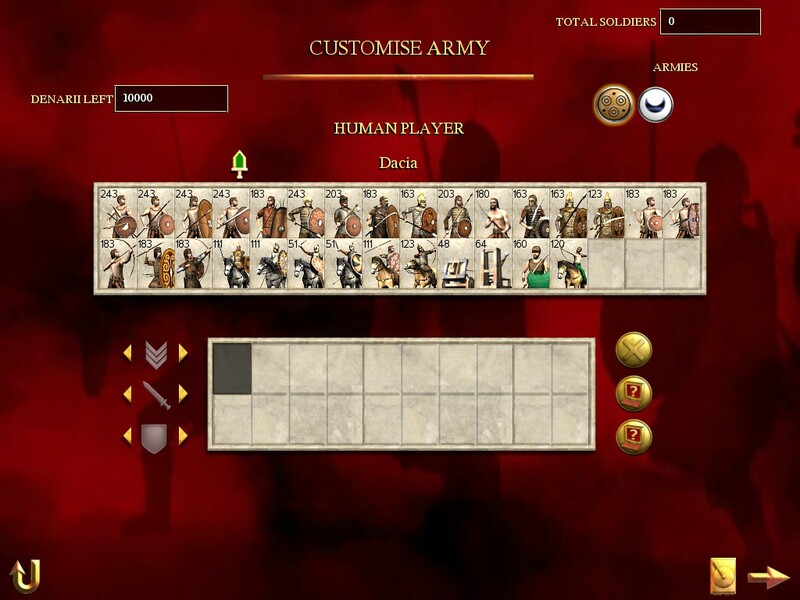 I'll get all units and unit rosters reverted back to v2, where Egypt is a Hellenistic Kingdom. All other features will stay the same, so gameplay will remain..
For units going forward, I will first stick to vanilla units and reskins, to keep the original theme. I have a lot of other things that I would like to add into the mod to make the game balance complete, and by having units take a back seat, I can finally focus on finishing the mod. Also, a map is in the making.. it is nothing crazy, but it will add more regions. We will see how far we get with that, and how it will effect the mod. Units and unit rosters will eventually be reworked and may include Lanjane's works again.. but it will be different from what you have seen as of late. There are many mods out there that have many units that would fit into this mod.. I just want to finish the actual mod and worry about units later. Finally, since I will be finishing the mod much more sooner than expected, this will allow me to have time to create separate mod campaigns that will give the game better immersion. I hope this all has made sense.. I will try and get a pretty finished and stable product out for Christmas. If you have any questions, just ask. Just know that this mod is not dead, and that I am here to stay but I have to operate to my own accord and not rely on others.. because of this, expect a fully polished mod to be released much sooner. Also, again many thanks to Lanjane, he is a dear friend of mine, and I wish him the best of luck. It has been awhile since a release, but if you have not been following, a lot has changed. In this version, all of the units that had been previously made are not included. Don't worry, eventually most of them will make it back in, and they are still available for download here if you want them. This version seeks to pick up from where I left off in Version 2 but also retaining all of the features that were included in versions 3-7, except Barbarians getting 5 tiers of recruitment. Here is what is included in v8. This was ported straight from Barbarian Invasion, including all of the traits and ancillaries that made sense for this time frame. 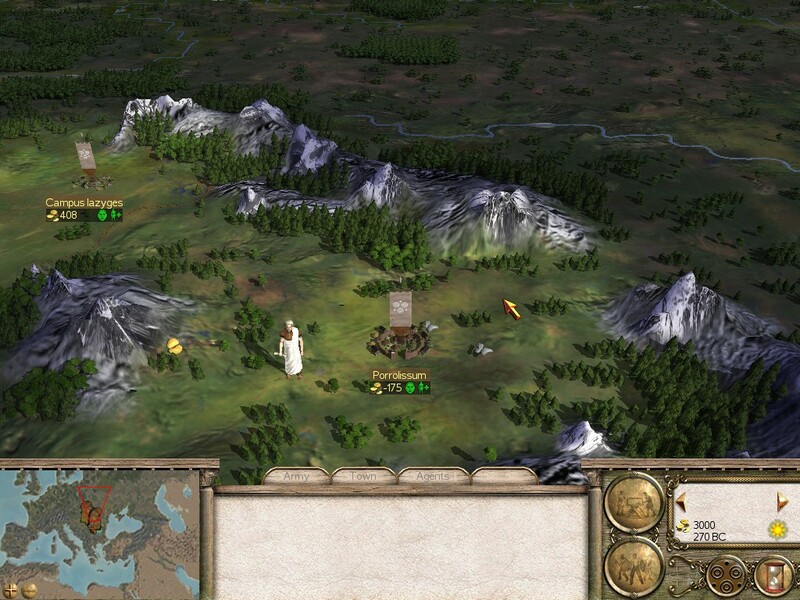 It was given to Scythia only, and includes a new rebel banner, new city models for the map, and new portraits. 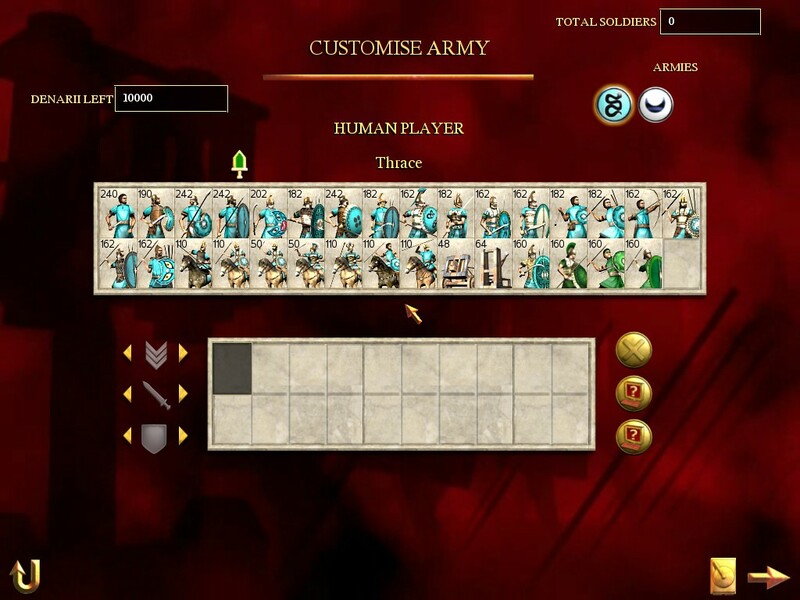 This mod is located on totalwar.org and I have taken most of it's features and added them to v8. * Strait of Gibraltar, between Baetica and Mauretania. * Strait of Messina, between Sicilia Romanus and Bruttium. * Dardanelles, between Propontis and Bithynia. You can now expect to see empires that take in both Greece and Asia Minor, while Carthage sometimes invades southern Italy from Sicily if the Scipii are defeated. * The game no longer revolves entirely around Rome, so factions' victory goals are individually tailored to their likely real-life ambitions. Whilst every faction must still conquer 50 provinces, the specific territories that must be included in those 50 now vary from faction to faction. For example the Spanish must conquer 50 provinces while ensuring that their empire includes Baetica, Taranonenis, Hispania and Celtiberia. Victory goals for the Roman families, the Gauls, the Germans and Carthage still include conquering Rome. The Successor kingdoms represented in the game - Macedonia, the Seleucid Empire and Egypt - share the goal of reuniting Alexander's empire by taking Pella, Antioch, Seleucia and Alexandria. * Completed text for victory and defeat screens for every faction. No more lame generic "You have won, all your people celebrate" text when playing as Numidia, Dacia etc., the victory text for these is now just as specific and stirring as for the main factions! * There is a bonus cheat/feature, enabling the "perfect spy". This allows the player to see details of army composition and city details as if you had a spy right next to them, no matter how far away they are. To activate, press F1 while on the campaign map to bring up the keyboard shortcuts scroll. Click on the question mark and when the advisor appears, click the "show me how" button to activate the script. You can deactivate it at any time by repeating this process. For best results, use with the fog of war off. * The range of names for women in the Pontic, Armenian and Thracian factions has been increased to reduce the problem of repetitive family names. In pure vanilla it has been known for a general from one of these cultures to have a wife and three daughters all with the same name! Thrace and Pontus have gained some carefully-selected and appropriate names from the Macedonian list, while Armenia has received a small number of names from the Parthian list. These are culturally appropriate and historically justifiable (at least no less historic than pure Vanilla). * All factions now have a public order bonus attached to the Government building in any settlement, ranging from 5% for a Governor's House to 25% for an Imperial Palace. * Summary: Various factions have been strengthened and weakened by having their starting denarii, starting provinces, armies, and sometimes units tweaked. This has been pretty successful in generating a balanced campaign. Carthage, the Gauls, the Germans and the Seleucids - the four big losers under pure vanilla - now usually survive to 200BC at least, and will expand to powerful empires in 30-50% of campaigns. * Carthaginian empire now larger at game start, with Carthago Nova gained from Spain. * Carthage can now recruit Scutarii at a City Barracks. * Carthage can now build the top level of temples (Temple Complexes) in Huge Cities. * Carthaginian Paved Road building card no longer shows pyramids in the background! 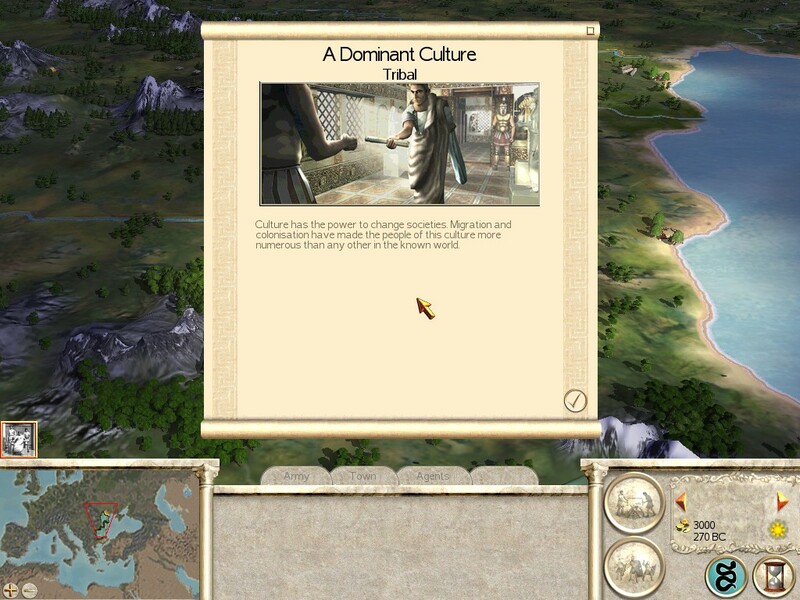 * First Cohorts can now be recruited in each Roman family's starting capital, as well as Rome. Early Legionary Fist Cohorts can be trained at an Army Barracks and Legionary First Cohorts at an Urban Barracks in Arretium, Capua, Rome and Tarentum. * Scythed Chariots can now be recruited only from a level 2 smith and above instead of level 1. * Pontus can now build sewers and paved roads. * Some other starting garrisons increased, with a unit of cataphracts in Hatra (most nations get a "bonus late military unit" which they can't recuit, the Seleucids originally didn't). * In one of the most successful bits of modding, removed the river crossing from the river between Armenia and Assyria, ending the Armenians' manic obsession with Hatra and greatly improving the chances of the Seleucids surviving the first 50 years. * Parthia can now build sewers and paved roads. * Base farming levels of Nile provinces very slightly reduced. They still collectively constitute the world's most fertile region though. * Armenia can now build sewers and paved roads. * Garrisons of Petra, Bostra, Ancyra, Nicomedia and Apollonia increased, within reason, along with a small Judean Army near Jerusalem. Quite a few of the historical events found in the campaign don't actually happen as no date had been set for them. With a bit of historical research to find out when they happened, they are now back in the game. Look out for espionage in carthage and the completion of the great library at Alexandria. These have no effect on gameplay, they just restore a little flavour that CA put in and then took out for some reason. Roman Families - Gain: Samnite Infantry; Lose: Roman Archers, Urban Cohort; Changes: Town Watch is now Post Marian, Cavalry Auxilia is now Post Marian. Triarii is now available at tier 3 Barracks. Also, changes from VBM mod implemented. -If you have an old HRTW version, delete it as this will not work with it. -One thing that I need to be clear on, is this mod runs on the Alexander.exe not the regular Rome Total War exe. Please make sure you use an Alexander Install. All of you - For Helping, testing and playing this mod, thank you! Pity to hear about the modelling problems - it's always been one of the limiting factors on TW mods in my experience. The new set of changes sound good, especially the land bridges - the lack of decent naval AI is really frustrating with the RTW engine at times. Yeah but it’s the reality and I’ll have to make do with my limited abilities. Luckily there are so many mods out there and I can reskin pretty well, so I think I’ll be okay. Regarding Naval AI, we are actually discussing how to further improve it.